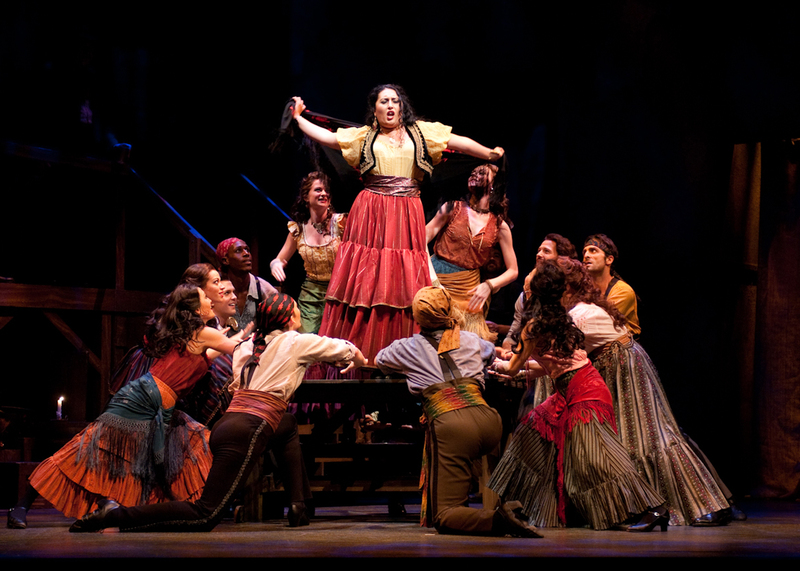 Anita Rachvelishvili (Carmen) with ensemble; © Elise Bakketun photo, courtesy of Seattle Opera, http://www.seattleopera.org. 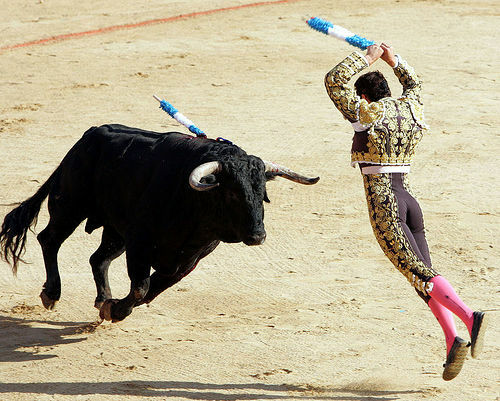 barbed sticks which are planted into the bull’s shoulders to weaken it for the kill. On 4 October, he appeared in full costume on King 5 TV during a segment of the New Day Northwest show, promoting Carmen for the Seattle Opera (see http://www.king5.com/new-day-northwest/The-Seattle-Opera-Performs-131056473.html toward the end of the segment). He was on stage only twice per performance in this opera. John has been a faithful and competent extra in enough operas so that the opera company gave him a couple of complimentary tickets for the Friday night performance on 28 October. The seats were outstanding—right in the center section on the Orchestra Level (main floor) of McCall Hall . He kindly offered them to me and my wife, and we quickly and gratefully accepted. We usually attend one or two operas per season. We just saw Porgy and Bess last August (see my post of 15 August 2011). Carmen is now our favorite, supplanting La Boheme by Puccini. Both are consistently among the top 10 operas performed annually throughout the world. 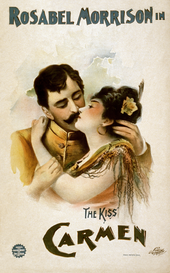 Carmen was first performed 136 years ago in Paris on 3 March 1875. 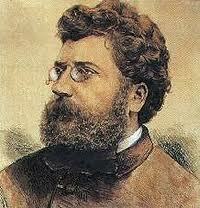 It struggled to survive, and Georges Bizet, composer, died on 3 June just after its 30th performance. He could never have guessed its prominence today in operatic lore. In 1962, I was lucky enough to play second trumpet in a production in the old Meany Hall at the University of Washington. The Dean of the School of Music, Dr. Stanley Chapple, was the conductor. Somehow, I think that if he could, Georges Bizet would have been there, too, happy and proud. My first new student for the new school year lives in Ballard and is already on the horn, taking weekly lessons, practicing and having fun learning new techniques and songs! He’s gonna be good, if he keeps it up. He’s a quick learner, has a natural emboucher, likes music, is curious about how his cornet works and should be maintained, and is excited about playing it. Watch out, he’s improving fast! Remember: wherever you are on the learning curve, you can always improve, and with help, you can improve faster than trying to do it alone. The better you are, the more fun it is. The composers wrote the music, your horn can perform it…now, can you play it? Say yes!